As the biggest province of Eastern Anatolia Region, Erzurum is a city which has survived since the beginning of history. Famous for winter sports and historical places, the city is surrounded by the cities of Artvin, Ardahan, Muş, and Bingöl. Having a cold climate, industry in Erzurum remains underdeveloped. The fact that its geographical position and natural conditions were favorable made Erzurum one of the oldest settlement areas in history. 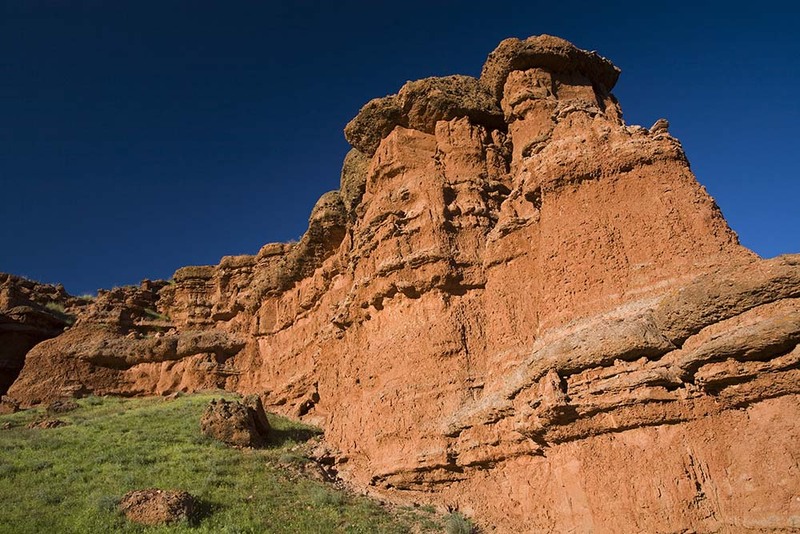 As a result of excavated remnants, it was concluded that the history of Erzurum dates back to the Paleolithic Age. The city had hosted many rulers such as the Hurris, Assyrians, Scythians, Persians, and Romans over time. Erzurum is a settlement area established on mountains. The center of the city is established on lowland. 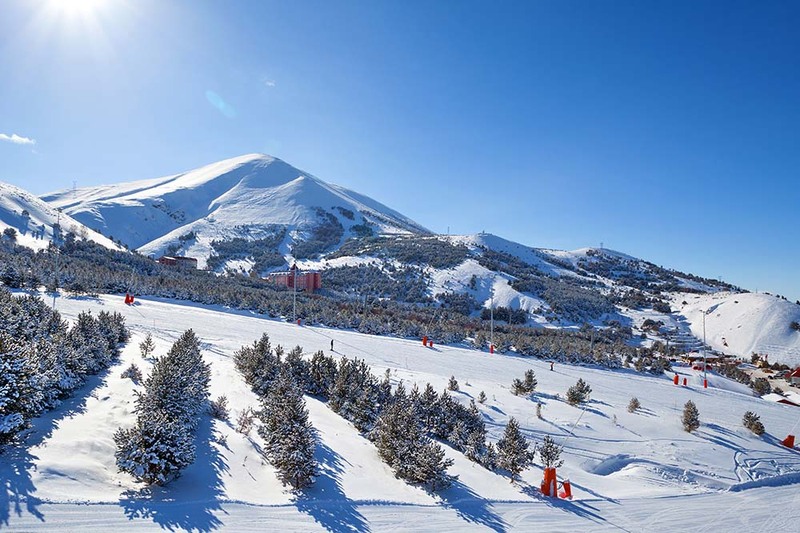 Located on the foothills of Palandöken Mountains, Erzurum stands on the historical Silk Road. Because of its climate, the city goes through very harsh and cold winters. As it is under the effect of a cold climate, the city hasn’t been able to show any progress in industry. That’s why the main means of livelihood are trading, agriculture, and husbandry. Apart from these, winter tourism, which has improved in the past few years, has started to contribute considerably to the economy. Moreover, today, it is accepted as an important center not only countrywide but also worldwide. Erzurum cuisine has a distinct place among all Turkish cuisines. Among the most famous dishes of the provience are ayran dish, herle dish, trotter soup, kesme soup, kuymak, cheese havla with butter, curd stuffing, brewis, lamb ear roasting, mallow dish, purslane, noodle pilaff, and kete. Mountain skiing and snowboarding – Palandoken. The, main must-see places of Erzurum are Rüstem Paşa Caravansary, Çobandede Bridge, and historical Erzurum Houses. Apart from them, mosques, madrasas, and natural areas are also worth seeing. 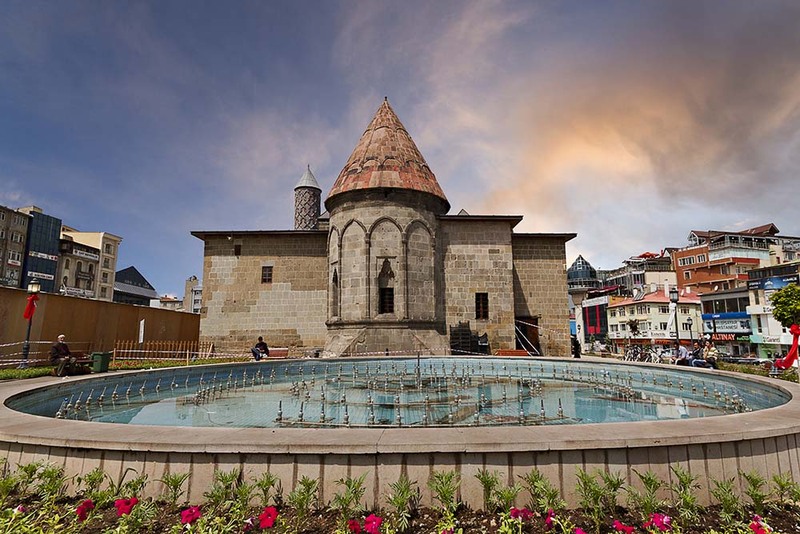 • Erzurum Castle: Located in the central Erzurum, the castle offers easy transportation. After excavation works, more parts of the castle and other historical remnants were unearthed. Yakutiye Madrassah which was an ancient islamic theology school, with a pool in the park. • Palandöken Mountain: It is one of the biggest mountains in our country and hosts winter tourism. There is a railway on the east-west route in Erzurum, so transportation through this line is available. Also, travelling by highway has become easier thanks to the improved roads. Apart from the highways, those who want to get to Erzurum more quickly can make use of daily flights.